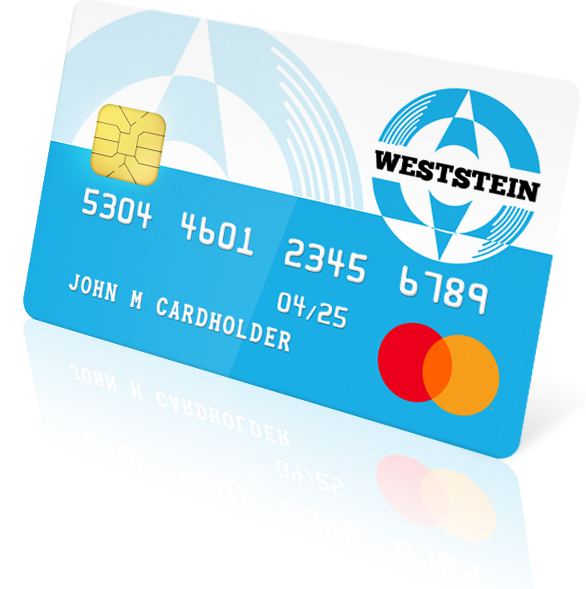 *This one-time card issuing fee will be charged from your WestStein account once you receive your card, activate it and add funds to it. · Get verified to spend more! The WestStein Mobile App serves your versatile lifestyle and lets you manage your money securely, simply and effectively wherever you go. Download our app in the AppStore or GooglePlay, and sign in to gain access to all your activity as well as make payments and manage card loads on-the-go. Enjoy the freedom of being in control of your personal budget no matter where your life takes you. I'm loving WestStein so far. I opened account for myself and another for my teenage daughter. It costs me only 1 eur/month for each account and I can help her with pocket money whenever she is in need, for example, for a taxi to get home. Really easy to open account compared to my bank. I received my WS card just before a vacation, so it worked great as a travel money carrier, because impossible to overspend as it's with credit cards. Satisfied after using WestStein account for ~6 months to receive payments from my freelance clients. The app and customer portal is simple and easy to use, so I don't spend much time managing my money. As an Airbnb hostess, I recommend the WestStein card with IBAN account for receiving the rent payments. The apartment is in Brussels, I live in Zurich, and my guests are from around the globe. I can easily access the money on my card as Mastercard is accepted almost anywhere. Prepaid Mastercard is the best solution for an obsessive shopper like myself. I keep the shopping money separately from the bill money, and my husband can't thank me enough. Safe choice. No obligations. Cancel any time. The WestStein Prepaid Private Mastercard is issued by Prepaid Financial Services Limited pursuant to a license from Mastercard International Incorporated. Registered Office: Fifth Floor, Langham House, 302-308 Regent Street, London W1B 3AT.